Since Jul. 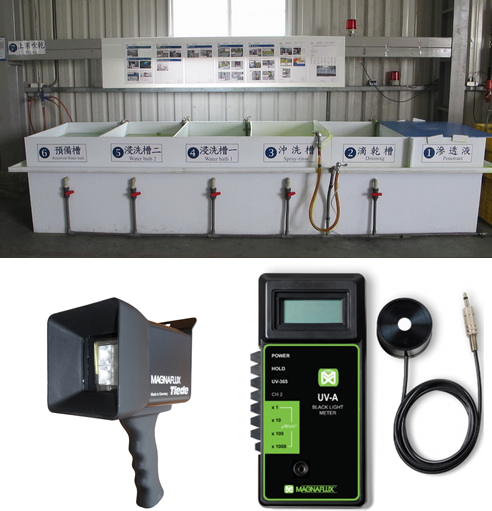 2014 we've set up a professional liquid penetrant examination equipment. Now we are the only one company that can provide independent PT service for aluminum alloy products in Taiwan. Lot processing of immersion and cleaning can promote examination efficiency. It fits for full inspection products.